In “Buffy,” Drusilla (portrayed by Juliet Landau) is a psychotic but psychic vampire who first arrives in Sunnydale in Season 2 as Spike’s girlfriend, who is recovering from a mob attack in Prague. Spike, who had been sired by Drusilla, kills the Anointed One and becomes the vampire leader in the town as he tries to find a cure for Drusilla. Over Season 2, Buffy severely wounds Spike but not before Drusilla is cured by Angel’s blood, leading her to take charge while Spike recuperates. When Angel, who had sired Drusilla, loses his soul and returns to being the vampire Angelus, the three of them wreak havoc on the town — Drusilla also kills Kendra, the slayer who had been activated when Buffy had briefly died at the end of Season 1. When Angel starts to plan to destroy the world with Drusilla, Spike joins forces with Buffy to stop them — since Spike loves the world (and all of the humans who he describes as “Happy Meals with legs”). Buffy saves the world by sending Angel (who had been re-ensouled at the last minute) into Hell, just after Spike knocked his girlfriend unconscious and had sped out of town in their car. 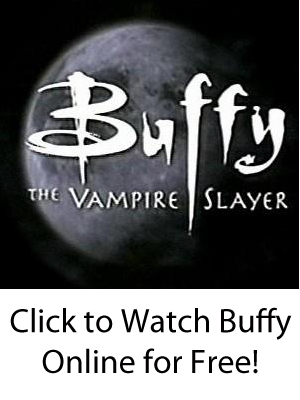 Drusilla breaks up with Spike and hooks up with a slime demon because of his alliance with Buffy, and a drunken, heartbroken Spike returns to Sunnydale in Season 3 to get Willow to cast a love spell on her. Spike abandons the plan, but not before Cordelia and Oz catch Xander and Willow kissing because they had thought Spike was going to kill them. As Spike was beginning to fall in love with Buffy in Season 5 after breaking up with Harmony, Drusilla returns to town to kill more humans and get back together with Spike. A confused Spike captures and ties up both Buffy and Drusilla, not sure which one he wants to kill. Drusilla escapes, and Buffy is horrified. Drusilla goes to Los Angeles on “Angel” and helps Wolfram & Hart with their evil plans with a resurrected Darla, who is reborn as a human and then turned into a vampire again. Before she had turned into a vampire in the nineteenth century, Drusilla was a chaste, Christian girl in England who had been plagued by visions that she had thought were from the Devil. She had sought refuge in a convent, but then Angel had become obsessed with her. He killed her family, made her insane, and then sired her. Drusilla’s story continues in “Angel: After the Fall” and “Angel & Faith” — we won’t tell you hear what happens.